Well, the past few weeks have been pretty crazy and tiring, hence why it has been over two weeks since my last post. 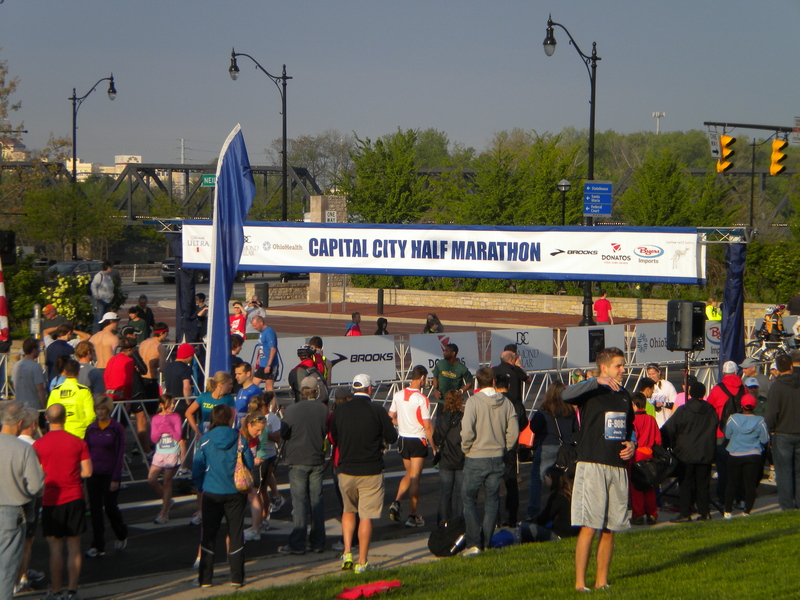 The main event of the past few weeks, The Capital City Half Marathon, went pretty well considering a few issues leading up to the race. The rest of things…well…have been a little tense. The week before the race was going pretty well except on Monday I started to feel the numbness on my left side again. Since it appears like my numbness decreases with resting and taking it easy I decreased my mileage and even took off a day or two more then I would usually take during the week leading up to the race. It did seem to help as my numbness started to decrease more on Wednesday and Thursday. are not the ideal feelings to be having your last two days leading up to a half marathon. Luckily on Friday afternoon I was able to get it to a point I was able to “drop it” for the weekend and try to focus on the 13.1 miles that would lay before me on Saturday morning. Friday night was pretty low key as I gathered my gear and laid it out for the next morning to make sure I would not forget anything. 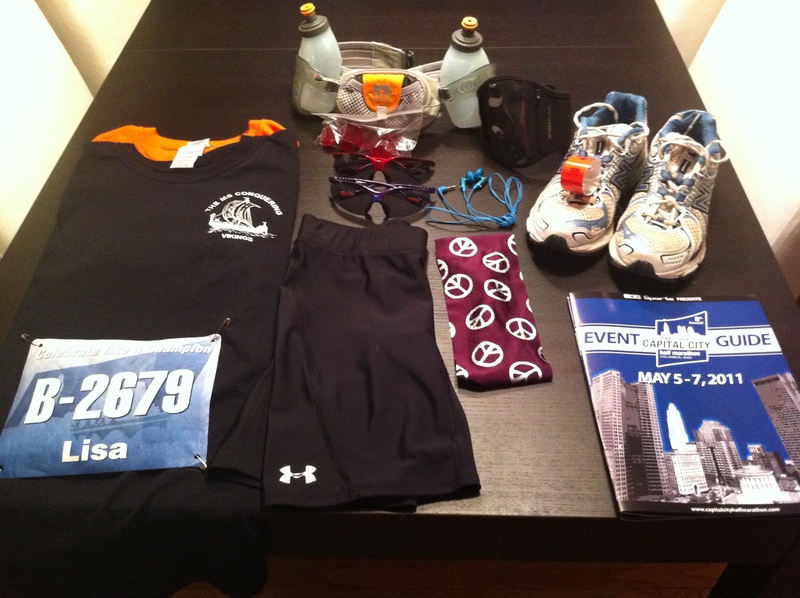 Half of my dinning room table was covered with a t-shirt (with bib already pined on), running shorts, sunglasses, socks, shoes, iPod arm band, headphones, hydration belt (Cliff Bloks in pouch on belt), belt water bottles, head band and stop watch. Ready to head out a 6am on Saturday morning. started to get in the groove. Later on in the run I concluded that I probably still had sunscreen on my hands when I took the Bloks which probably got on the Bloks and caused my “upset stomach”. Coming to this conclusion made me scared to take my next set of Bloks during the race which did not help my energy level. The rest of the race went pretty well except I had not prepared myself as well as I thought. I had forgotten to check out the elevation chart for the new course…the new course was almost a steady incline until the end. I went out a little too fast in the first few miles (probably thrown off by my interesting start) so started struggling at about the 9 mile mark plus was scared to take my Bloks for energy. My main motivation was if I keep running it will be over quicker. I did not set a new PR by any means but still came in at 2:07:57 which was two minutes under my first half marathon time. All in all not to bad of a day I guess, considering all the craziness leading up to it. I am starting to wonder if I am a runner who is just not going to have very many races where I have normal pre-race days. I think so far only my second half marathon has been “normal”. I need to update everyone on my couple days leading up to my first full marathon but that is definitely saved for a later post or you would be reading all night. Jeez, also still have to write the post about the MS Walk and the Mud Run is coming up next week! I need to get typing! So much to write, so little time. This entry was posted in Multiple Sclerosis, Running, Uncategorized and tagged Half Marathon, Multiple Sclerosis, Running. Bookmark the permalink. 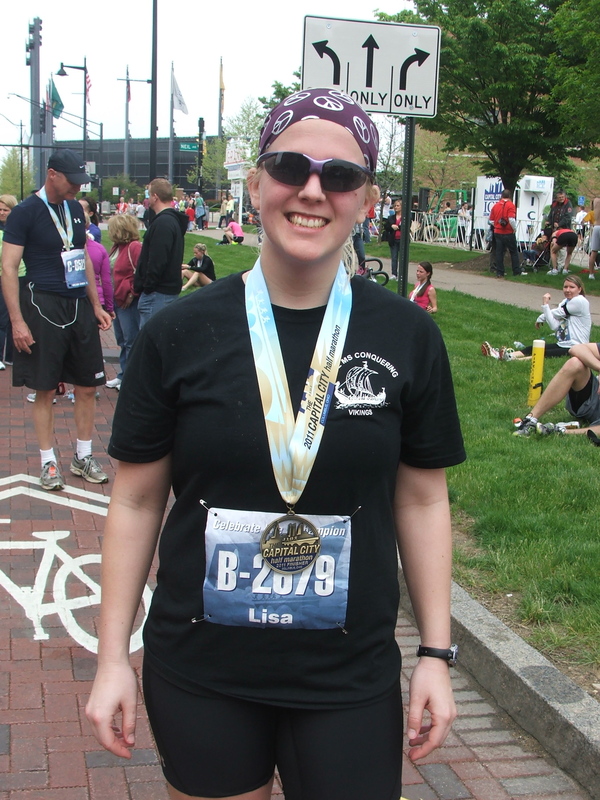 A big congrats on finishing another half marathon. Sounds like it was quite the up and down day, but you should be proud for gutting it out. Nice job. Thank you! Looks like you are quite the busy runner as well. Nice PR on your last half marathon! 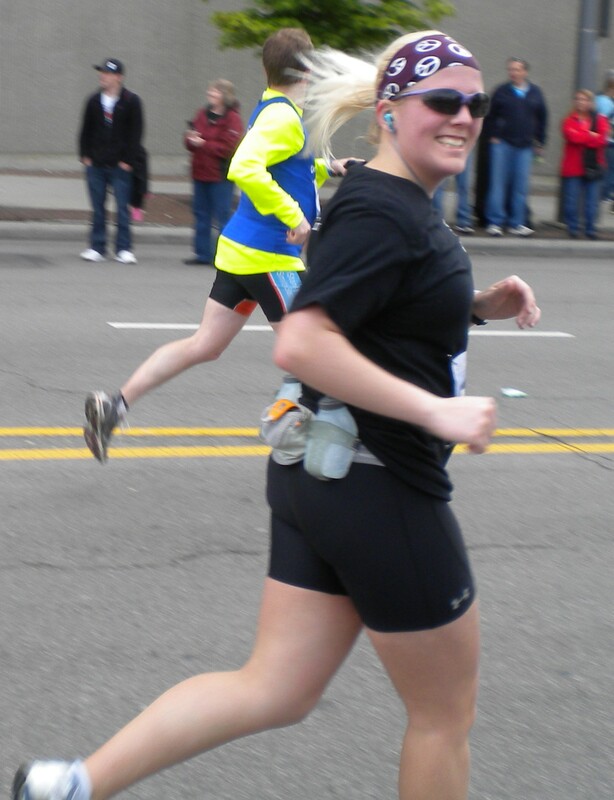 Great job on overcoming the frustrations & trials leading up to your run, and doing so well on it! Thank you! Thanks for checking out my post!